Protects throat and neck from wind and draft. 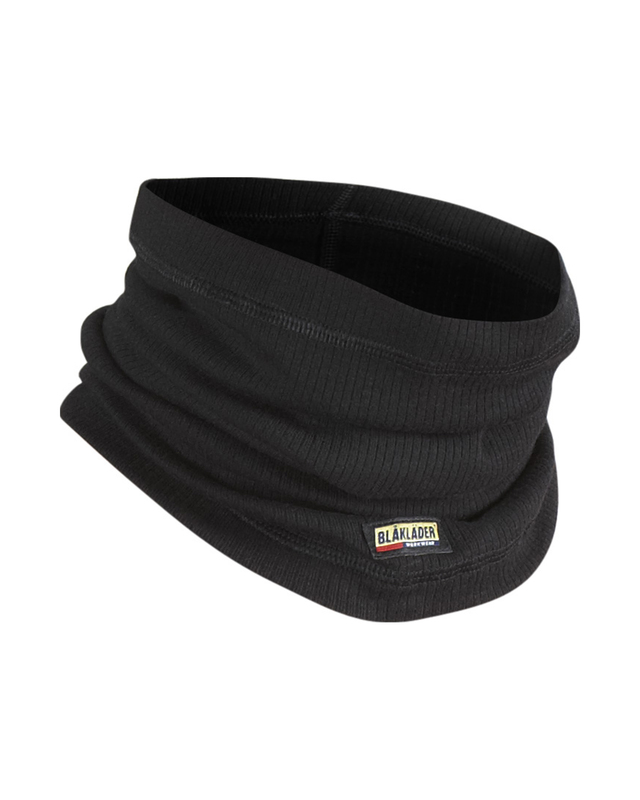 Can be used as hat, sweat band, balaclava etc. Advanced heat and flame reactive material that solidifies at high heat and creates permanent protection. Certified according to EN 11612 (A1, B1, C1) EN 1149-5, IEC 61482-2 (Class 1). EBT 4,4 cal/cm², HAF: 69,1%.